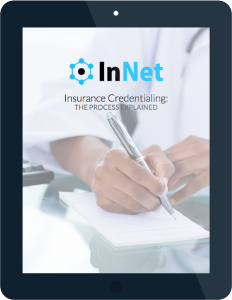 In this free eBook, we break down the oftentimes confusing, opaque, and intimidating process of provider enrollment. If you’ve ever felt befuddled by the steps in getting on insurance panels, this guide is for you! The basics for understanding what provider enrollment means. Two options for easing your provider enrollment journey. What are you waiting for? Just fill out the form to the right and get your free eBook right away!